2D & 3D Rockers There are 3 products. Optimized for blot washing and gel staining. Gentle mixing, 12 rpm / +/-8° tilt. 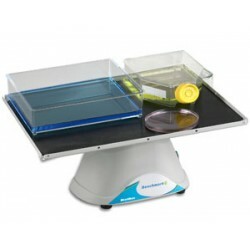 Dual platform accessory doubles work surface. Cold room and incubator safe. Ideal for tube sizes 1.5ml to 50ml. 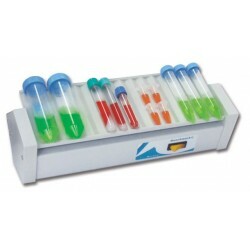 Optomized speed and tilt angle for thorough mixing in sample tubes. Cold room and incubator safe. No adapters or mounting hardware required. Optimized speed and tilt for gel blotting, washing & staining. Tri-directional motion for thorough, gentle mixing. Optional stacking platforms available. 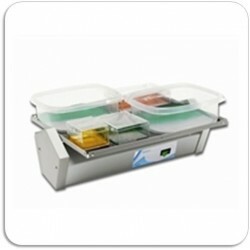 Cold room and incubator safe..